This sport of 'Krossa Regal' was discovered at Walters Gardens in MI. Beautiful white margins along the blue green leaves, and it has that classic, upright vase shaped habit of its parent. An incredible specimen plant with lavender blooms. 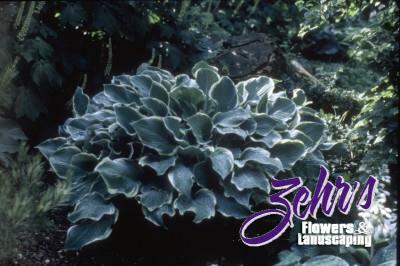 Selected by the American Hosta Growers Association as Hosta of the Year in 2003.